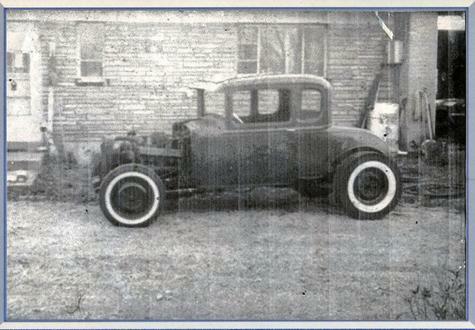 My first hot rod I started building when I was 15. Originally I ran a 296" Flatty with 3, 97's, Edelbrock finned aluminum heads, Howard "Constant acceleration" cam, all the go fast goodies of the day. I raced at Oswego Dragstrip before I had a drivers license. It turned around 100 mph at 14 seconds. This pic is from 1964 and I was 19. I had pulled the flatty and replaced it with a 324" Olds engine I pulled from my 9 year old at the time, '55 Olds 98 Holiday coupe that was cherry complete with leather power seats, power everything and a working Wonder Bar Radio. I abandoned the cherry car in our back field where it rusted away. I'm still kicking myself!! !